Two teams from Ashmount were recognised for their terrific teamwork at the recent SEND Championships held at Loughborough University. 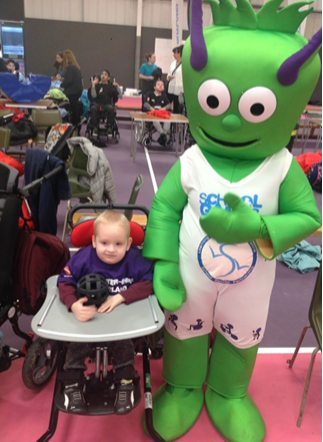 The event was an opportunity to showcase the wealth of sporting talent in the mainstream and special schools in the area. Key Stage 2 teams competed in the Boccia and New Age Kurling Championship—both receiving the ‘Spirit of the Games’ trophy for their great team efforts. Students with more complex needs also took part in the MATP showcase. The children had been working really hard on their MATP targets in school and were absolutely brilliant when showcasing their individual talents in the event. Ashmount students were also invited to perform their own dance in the opening ceremony of the games.